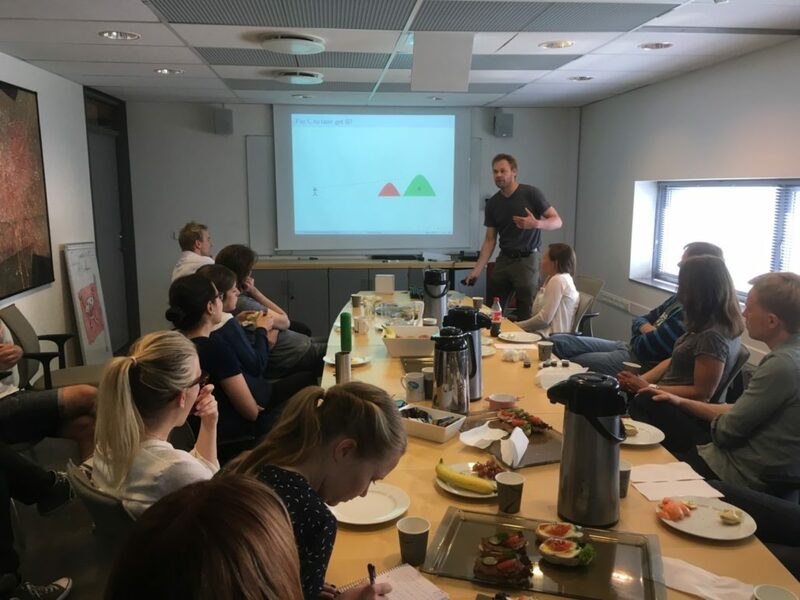 LCBC hosted a lunch meeting with Bård Harstad from UiO’s Department of Economics. Bård gave us an insightful and very entertaining lecture entitled “Time-inconsistent preferences in economics and policy”. How do we perceive the costs relative to the benefits of any given situation as a function of time? Are we adept at investing time and effort in long-term goals that give a delayed pay-off when the perceived cost of such decisions is more immediate? And if something is costly today, does it then pay to postpone until tomorrow? Bård’s research highlights a key factor that needs to be taken into account when we consider how we do and should make decisions. Namely, time. A major issue is time-inconsistency in decision-making. When closer in time, perceived costs often outweigh perceived benefits in the long-term, precisely because they are in the long-term, and because the costs are not. This has far-reaching consequences, helping us understand a key influence as to why people may not save much or may eat too unhealthily, but also economic-related decision-making such as why greener environmental policies are often harder and take far more time to push through. In the latter scenario, the significant costs involved in investing in a new infrastructure for greener energy are often perceived to outweigh the long-term benefits reaped by future generations, despite these benefits actually being far greater. The key may be to recognise that time is a factor that will ubiquitously and continually change our perception of a situation. According to Bård, one should therefore pre-commit to making later changes, because the cost will always be considered greater in the present than in the future.